A Preventive Maintenance (PM) system is critical to effective asset management. From inspection tasks designed to detect impending failures to lubrication and wear part replacement, your PM system is the first line of defense against unplanned downtime and equipment failures. TabWare provides a single platform to easily plan, organize and manage all your PM work including building PM Master Plans, linking them to equipment and scheduling PM work order generation. TabWare provides a comprehensive audit trail of all PM work and reports schedule compliance. We recommend your PM system be based on a Reliability Centered Maintenance (RCM) program to define the necessary tasks and schedule their execution to maximize asset performance. A preventive maintenance system is an integral part of a maintenance management solution and maximizes asset performance. An effective preventive maintenance system also supports predictive maintenance by planning and scheduling their tasks as PM work orders. Approving work orders and requisitions has never been easier with TabWare`s mobile approval feature. Available on tablets and smartphones, mobile work order approval enables managers to avoid delaying the approval process. 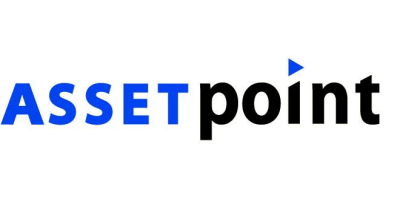 AssetPoint, partnering with highly respected companies in the energy industry, has developed special features and functions within its TabWare Enterprise Asset Management (EAM) software to effectively and easily manage movable assets and special needs in the oil and gas industry. Robust, easily user configurable interactive hierarchy, providing a graphical representation of the parent-child relationship of your assets. No reviews were found for TabWare - Preventive Asset Maintenance Software. Be the first to review!